Author Lee Cary predicted all of this in March; he reminded me with an email yesterday with the subject heading "Today, I take no joy in an accurate prediction". Comey is, I believe, not the reincarnation of Elliott Ness. 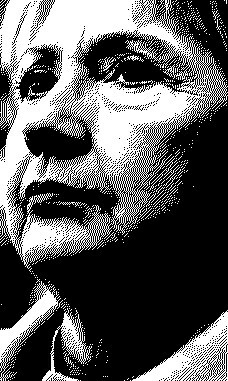 Here’s how I see it playing out: He announces, after the fact of his advertised interview meeting with Hillary Clinton, that the event was professional and candid, as well as thorough and blah blah blah, and at the end of it concluded, in consultation with other high ranking FBI officials, that, while there were errors in judgment to which she has, in part, admitted, nothing Secretary Clinton did reached the level that warranted the FBI recommending an indictment to the AG. In effect, case closed. The mainstream media then says we can all put this behind us and go forward with the silly season without the matter hanging over her. All the media, from FOX to MSNBC have bought, and promoted, the meme of Comey as the stand-up-guy, the Untouchable. ...In the wake of what I think will happen, happening, there will be a division between the ones who buy the con, and those who see the Fix but won’t have any explanation as to how it happened. You can read all of Cary's articles on American Thinker here.